World number four Raonic threw the kitchen sink at the elastic-limbed Serb for two hours and 14 minutes, striking 42 winners and 14 aces but Djokovic, aiming for a fifth consecutive title at the year-ender, was equal to everything -- just. 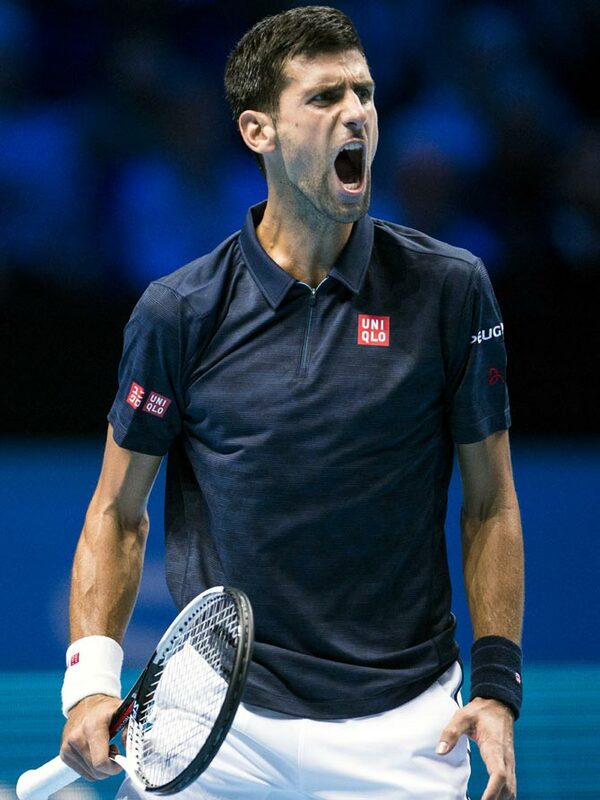 It has been missing for a while but Novak Djokovic rediscovered his warrior spirit to tame Canada's Milos Raonic 7-6(6), 7-6(5) in a rivetting duel and guarantee progress from his group at the ATP World Tour Finals in London on Tuesday. The 29-year-old Serb's recent malaise has cost him the world number one ranking he held for 122 weeks but when backed into a corner by an inspired Raonic, he responded in the belligerent manner that has earned him 12 Grand Slam titles. 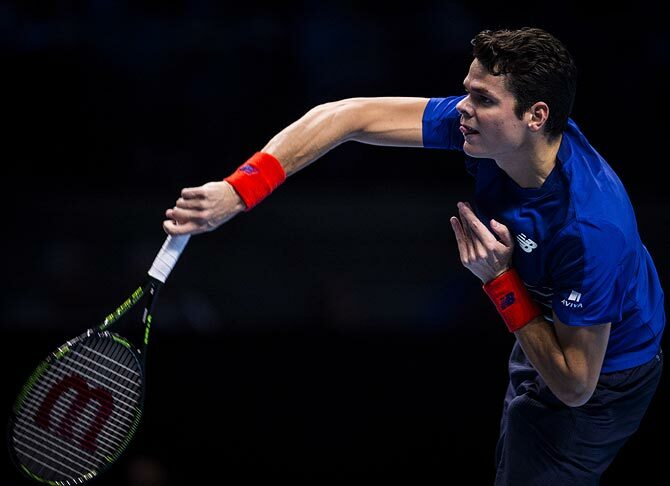 Raonic will be favourite to beat Dominic Thiem and reach the semis too, although the Austrian will be heartened by his 6-3, 1-6, 6-4 defeat of fellow debutant Monfils earlier. "I managed to hang in there mentally and stay strong and believed that the opportunities would come," Djokovic, who needs to better Andy Murray's performance here to reclaim the number one ranking, said. "It could have gone either way this match. He's such a strong player and has got firepower. "Two tiebreaks against a big server is a great win." The Canadian saved a set point with a barrage of bludgeoning forehands that cracked Djokovic's defences but then self-destructed, shanking a forehand return off a powder puff second serve before offering up a double fault. 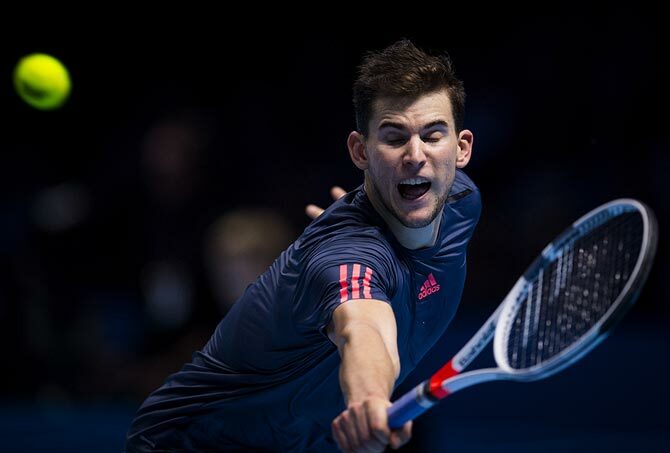 Earlier, 23-year-old Thiem withstood a fightback from the mercurial Monfils to become the first Austrian to win a match at the event since Thomas Muster in 1996.